There are a ton of new home decor trends that are purrrfect for your wellness space, and are in fact influencing the design of new wellness spaces now. In Feng Shui, your front door is considered the mouth of your business and is an important area to consider. 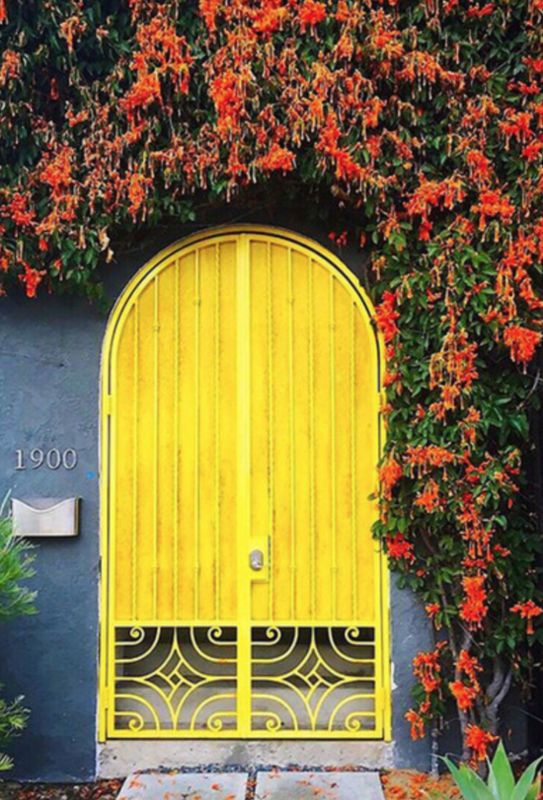 By painting your front door (or gate) a bright and happy color, you draw attention to it and your business. Happy colors (as you know if you’ve been following me) send an instant uplifting message to the brain. #2 – Large wall art. 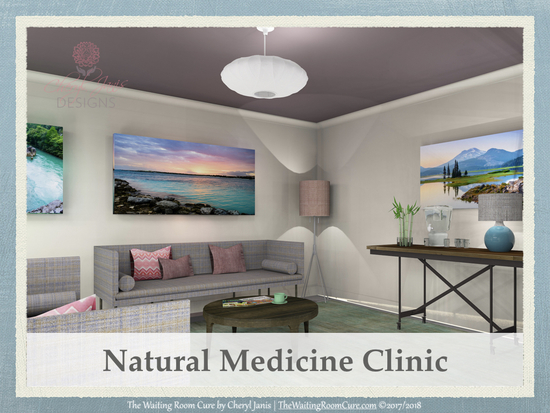 Say goodbye to the gallery wall (lots of little pictures hung together) and say hello to huge art pieces that will take up that blank space in your waiting room and exam/treatment rooms. I’m thrilled for this 2018 home trend. I always recommend large wall art in your waiting room and treatment rooms for this one simple reason: It will have a larger (and more positive) impact on the brain. 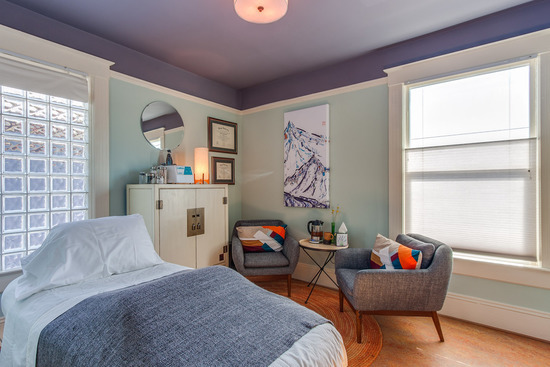 For example, when you hang a beautiful large nature print (like the one below by Peter C. Blanchard), your patients and clients can easily become immersed in the scene and feel their stress transform into a serene space. There is science to back this up in a field called Evidence-Based Art. Calmer and happier patients = higher referrals and patient satisfaction. Adding pops of color or patterns to your walls can be lovely, but have you ever thought of putting it on your ceiling? By painting the ceiling a medium to dark color you create a feeling of instant luxury. That, and you help your patients and clients relax while they are on the table or in the chair at the dentist’s office. Even those white ceiling acoustic tiles can be painted. My clients have done it over and over again and have loved the results. What out of these three top home trends for 2018 inspire you most for your wellness space? Send me a note here and let me know.